Although chainsaws are excellent tools for wood cutting, the potential for accidents is high and severe injuries can result from improper use. Chainsaw safety should always be your ﬁrst priority. By taking the necessary safety precautions, you will avoid serious injury. Take some time out before you use your new chainsaw to read the owner’s manual. If you’re very familiar with your machine you’ll avoid any hazardous techniques that might jeopardize your safety. The ﬁrst step in safety is to make sure you have selected a chainsaw that is appropriate for you. Most chainsaws over 20” in length are not appropriate for homeowner use and should be reserved for professional woodcutters. You should be very comfortable with the weight of your chainsaw so that you can easily raise it repeatedly above a log or tree limb without tiring. Operating a chainsaw requires signiﬁcant concentration and effort. Make sure that you are well rested and alert. Before heading out to the woodlot or wood pile, equip yourself with protective clothing and safety gear, including hearing protection, safety goggles, a hard hat, and gloves. 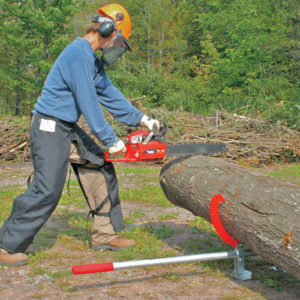 Buy a quality pair of chainsaw chaps and wear them whenever you are using the chainsaw. Don’t think of the chaps as optional; they may save your life. If the saw blade hits your leg, the ﬁbers of the protective pad within the chaps will be pulled into the saw’s drive sprocket and cause the saw to jam before there’s a chance that the chain hits a major artery. It goes without saying that your shoes should be closed-toed and have good traction on them. Steel toes are recommended. Avoid any loose-ﬁtting clothing or jewelry that might get caught in the chainsaw’s rotating chain. Before you begin, make sure your chainsaw is in good operating condition. To ensure smooth operation and prevent damage to your saw, remove any dirt, debris, tree limbs, and rocks from the intended path of your chain saw. Do a thorough check of the chainsaw path to be sure it is free of nails, spikes, or other metal. Check all controls and handles and make sure the chain is properly tensioned according to the manufacturer’s instructions. Make sure the saw teeth are sharp to ensure safe, cutting. Check oil levels often to ensure good lubrication of the bar and chain while operating. When adding fuel, dispense fuel at least 10’ away from any source of ﬁre and never attempt to fuel a saw while it is running. Always use both hands to start the chainsaw, and never attempt to “drop start” your saw. Keep the chainsaw ﬁrmly on the ground with one hand, and use the other to pull the chainsaw starter rope. To ensure safe, precise cutting, always use two hands while operating. Make sure you keep a ﬁrm grip on the saw and have a balanced stance on an even surface. 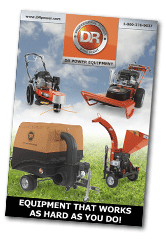 Maintaining a proper stance while operating is essential to keeping the machine under control and minimizing fatigue. Never saw with the machine between your legs or operate on an unstable surface. Before you begin, take a few practice strokes with your chain saw. This will help you gauge your level of familiarity with the machine before you begin your projects. Kickback occurs when the teeth on the chain catch on something or when the wood pinches the saw chain, causing the blade to kick back violently in the direction of the operator. 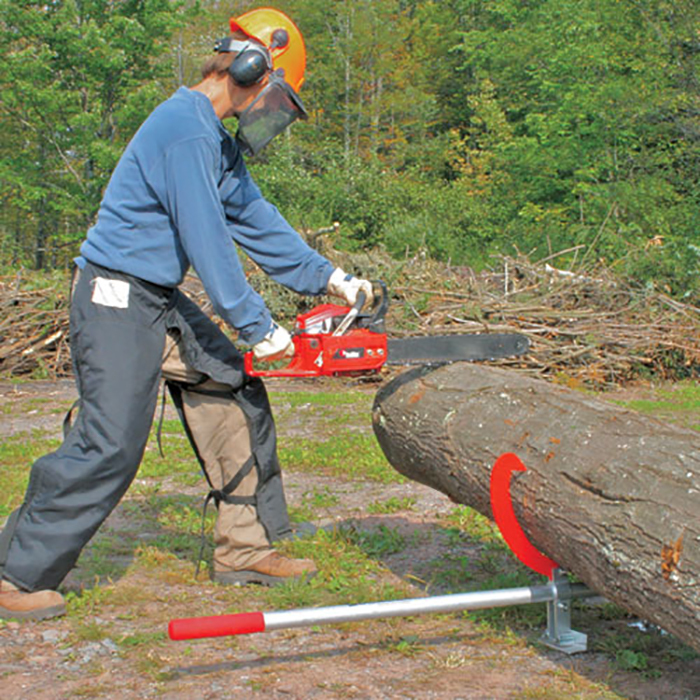 Most chainsaws are equipped chain brakes and front hand guards intended to reduce the risk of injury from kickback. You can also use a low kickback saw chain. The best approach, however, is to avoid kickback entirely. Avoid situations where the saw blade might bind in the wood. Use proper technique by cutting wood with the base of the saw blade, not the tip. install a tip guard on the nose of the bar. Stop work immediately if you begin to feel fatigued or have trouble concentrating. A chainsaw is a powerful piece of equipment with the potential to inﬂict serious harm. Make sure your chain saw is properly maintained and pay attention to yourself and your surroundings to avoid accidents. 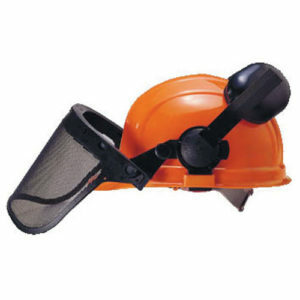 If you take the recommended precautions and you maintain your saw according to the manual, you should experience years of satisfaction with this powerful tool.